In New York State, Medicaid and the Children’s Health Insurance Program (CHIP) provide no-cost or low-cost health coverage to eligible children so that they can get routine check-ups, immunizations and dental care, helping to ensure that they stay healthy. Covered children can also get doctor visits, prescription medications and hospital care when needed. Nationwide, CHIP provides free or low-cost health coverage for more than 7 million children up to age 19. CHIP covers US citizens and eligible immigrants. Even if a child has been denied coverage in the past or if the family doesn’t know if the child qualifies, parents or legal guardians may be able to get health coverage for that child now. To see a list of resources that can help individuals, children and families access free or low cost health care, click here. Access to care – sustained access – is integral to HITCH’s mission and those of its partners. In collaboration with its sponsors, HRHCare, the Institute for Family Health, and Open Door Family Medical Centers, Inc., as well as project partners Adirondack Health Institute and the Hudson Center for Health Equity and Quality, HITCH is providing program management around the training and use of a web-based tool, the Facilitated Enrollment Electronic Application (FEEA). With this technology, families get personal assistance by trained staff to complete the application process quickly and accurately. In addition to FEEA, this program provides consumers with the option to check their eligibility themselves through EnrollNY. Families with children can visit www.enrollny.org to see if they are eligible for Medicaid or CHIP by answering a few questions. They then have the opportunity to complete an application for coverage, or ask to be contacted by a New York State Facilitated Enroller (FE). The Children’s Health Insurance Project aims to identify and enroll uninsured eligible children in 17 counties in New York State. Click here for a map of affected counties. We focus on groups that experience significant gaps in coverage, such as homeless persons, migrant farm workers, and adolescents. We also focus on helping insured children remain insured – by reaching out to children enrolled in CHIP or Medicaid who are due for renewal of their coverage so that they don’t lose it and have to reenroll. Project goals also include the identification of best practices for the effective deployment of technology tools in support of program goals. Click here for more about best practices and HITCH’s Children’s Health Program Toolkit. The Children’s Health Insurance Program has resulted in thousands of children and their families getting enrolled in health insurance. Participating partners and providers have used a variety of approaches to reach out to communities and find people in need of coverage, as well as provide the assistance they need to get enrolled. These “best practices” can be adapted and used by safety net providers and others to improve access to and the quality of care. 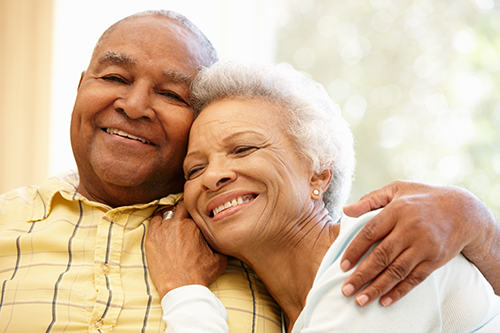 This project was funded through a grant by the Centers for Medicaid and Medicare Services. WANT MORE INFORMATION ABOUT CHILDREN’S HEALTH INSURANCE COVERAGE? 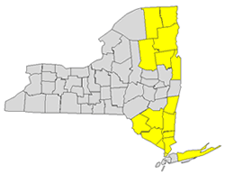 17 counties comprising three regions: Adirondack, Mid-and Lower Hudson Valley, and Manhattan and the Bronx. All sites are located in federally designated Health Professional Shortage Areas or Medically Underserved Areas. The Adirondack region includes a reservation of the St. Regis Mohawk Tribe. Uninsured eligible children in coalition members’ service area, with a focus on groups that experience significant gaps in coverage, such as homeless persons, migrant farm workers, and adolescents. Children enrolled in CHIP/Medicaid who are due for renewal.